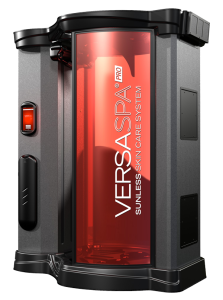 Take the uncertainty out of sunless tanning with the VersaPro® Heated Sunless Spa Series. This cutting-edge technology gives you flawless results in the privacy of an automated spray tan booth. VersaPro® offers graduating levels of color with the option to spray just your face, just your legs, and double spray either your legs or entire body for even darker results. The LED touch screen allows you to further customize your experience by adding both a PH balancing prep spray along with hydration treatments that allow you to extend the life of your sunless tan. Both the tanning booth and spray are heated for your comfort and the booth dries you automatically. *Thousand Oaks location only. See our Disclaimer information. Experience High Definition tanning with the HEATED Mystic HD. This revolutionary heated spray tan is custom blended to your skin type and desired level of darkness, while keeping you warm and dry from start to finish. Make sure and ask your tanning consultant about added fragrances, bronzers, and accelerators. From the moment you enter the warm, inviting environment, your skin is infused with heat, which allows for maximum absorption, creating a deeper, longer lasting high-definition color. A sweeping side-to-side airbrush travels gently from head to toe, applying precise amounts of your desired level of color, while a flow of warm air ensures that skin remains dry and you remain comfortable. Available at Thousand Oaks location only. For even better results we recommend one of our Tanning Cocktails, a UV tanning session before your Sunless Spray Tan or a Red Light Anti-Aging Therapy session which helps with the absorption of the sunless solution. Tanning for a special event? 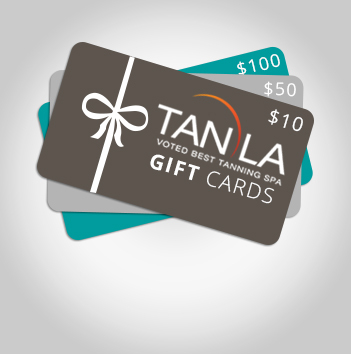 Try our Skinny Bronze Cocktail™ available only at Tan LA Tanning Spas. 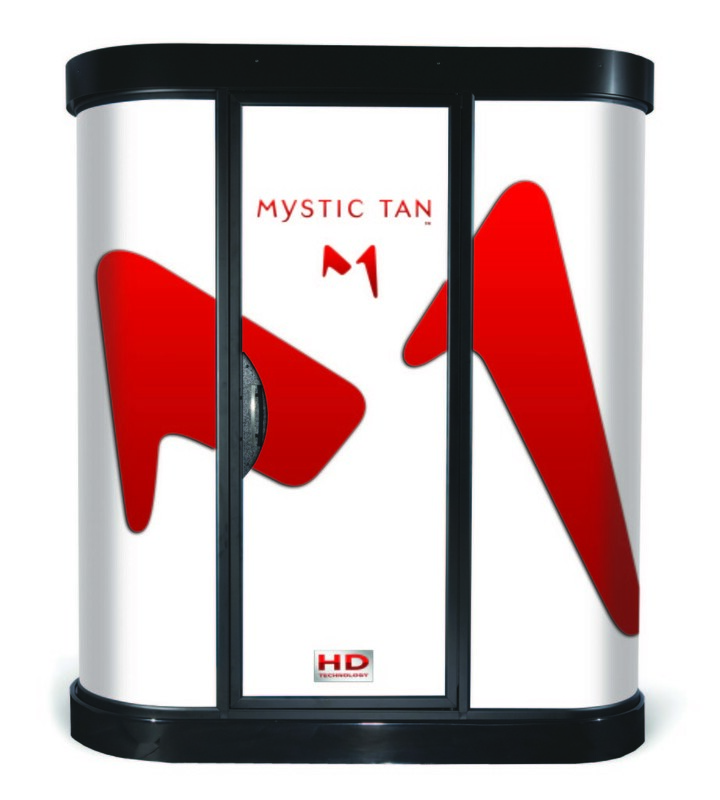 The revolutionary MY-MYST Sunless Booth from Mystic Tan features individual tanning cartridges to allow you to choose your desired color and also insures the freshness of the solution. The new MY-MYST sprays in a side to side airbrush motion and unlike the previous generation Mystic Tan you strike 4 standing positions instead of 2 for more even coverage. Make sure and ask your tanning consultant about custom blending your tan with different fragrances, instant bronzers, and accelerators. Available at Camarillo location only. Thousand Oaks location offers the Heated Mystic HD version. For even better results we recommend a Tanning Cocktail which is a UV Tanning Session before your Sunless Tan or a Red Light Anti-Aging Therapy session which helps with the absorption of the sunless spray tan solution. I have had several custom spray tans at other locations, but I recently had the opportunity to try the new VersaSpray booth at Tan LA in Thousand Oaks this weekend and can’t believe the results! I had never tanned in a “machine” before, but was amazed at the color! The “real ness” of the color was incredible! No blotchy spots, no orange tint, it is very natural looking and I have received numerous comments on my great tan! So easy to use! I will be back again! I have had several custom spray tans at other locations, but I recently had the opportunity to try the new VersaSpray booth at Tan LA in Thousand Oaks this weekend and can’t believe the results! I had never tanned in a “machine” before, but was amazed at the color! The “real ness” of the color … Continue reading "Veronica H."
Been coming to the Thousand Oaks location for over 15years. The beds here are all great but after years of tanning I have decided to do spray tanning. I love the new heated mystic tan. It sprays me in four different positions for even coverage and the color is very natural. Been coming to the Thousand Oaks location for over 15years. The beds here are all great but after years of tanning I have decided to do spray tanning. I love the new heated mystic tan. It sprays me in four different positions for even coverage and the color is very natural. Yael M. (Thousand Oaks, CA) … Continue reading "Yael M"
I’ve been coming here for years for the Mystic Tanning Booth and am always very happy. They recently upgraded the room with a built-in cabinet wall with new adhesive flip flops so the bottom of my feet don’t get stained. Would highly recommend for the cleanliness and friendly efficient staff! I’ve been coming here for years for the Mystic Tanning Booth and am always very happy. They recently upgraded the room with a built-in cabinet wall with new adhesive flip flops so the bottom of my feet don’t get stained. Would highly recommend for the cleanliness and friendly efficient staff! 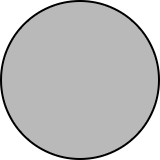 Alexis R. (Los Angeles, CA) … Continue reading "Alexis R"
Try not to tan too often, but when I have a weird tan line for a special event its the only place to go!! For safer the mystic tan here is amazing- gave me the perfect glow for the wedding!